Summerhill-bred Negev won the Syringa Handicap Listed over 1600m at Turffontein this afternoon for trainer Louis Goosen. The daughter of Stronghold and half-sister to Extra Zero will be sure to extend her lead on the KZN Breeders Series Log, a position she has held for over two months lying on 36 points - now with another Summerhill-bred The Mutineer sharing the position. She defeated a quality field of mares and fillies at odds of 33/1, with Ihla Bhela finishing second and Moggytwoshoes - a daughter of Mogok, finishing in third. Negev is out of Haifaa(IRE) by Doyoun(IRE), and owned by Messrs C M Comaroff and B K Parker. 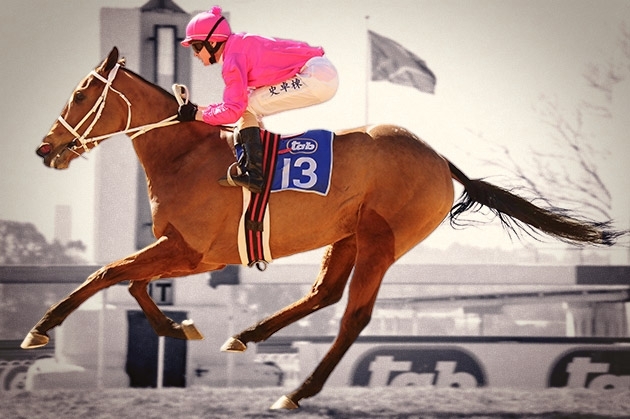 She has won four times and placed 13 times, including a Gr3 to Cherry On The Top, placing behind Jackodore in a Listed race and finishing two lengths off Orator's Daughter(AUS) in a recent Gr3. Negev is a R330 000 graduate off the 2011 Emperors Palace Ready To Run Sale who has earned over R970 000 in stakes. Well done to the winning connections.